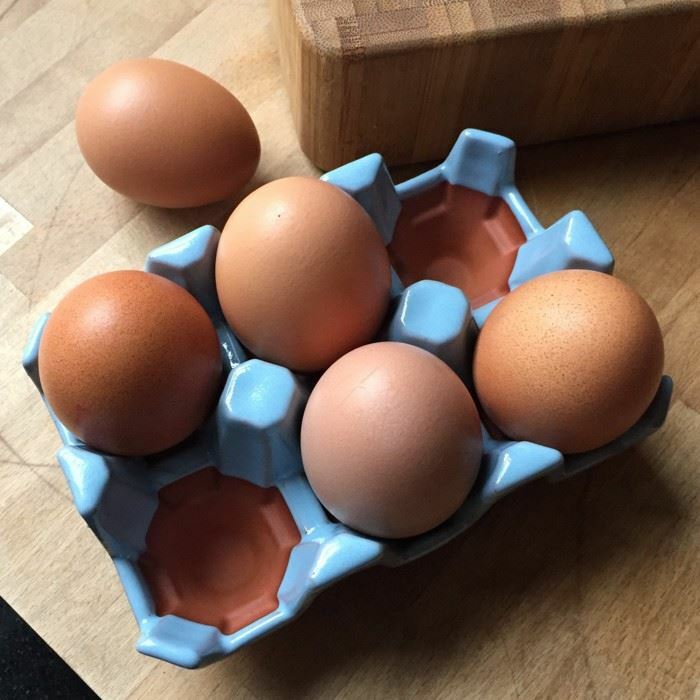 Based on corrugated egg tray designs our ceramic egg tray is a practical way to store eggs at room temperature ready for cooking. 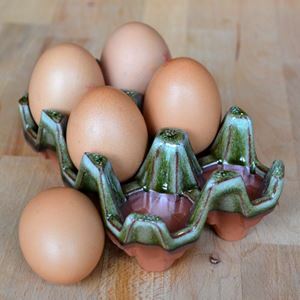 Available in natural terracotta & a range of coloured glazed finishes, there is a ceramic egg tray to suit many kitchen types & styles. 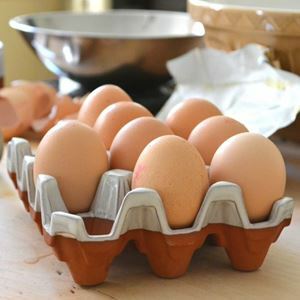 Available in 2 sizes; half dozen eggs & a dozen eggs. 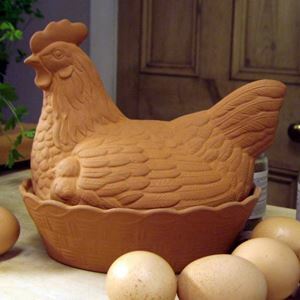 Handmade in the UK at our pottery in Newark from English terracotta clay. 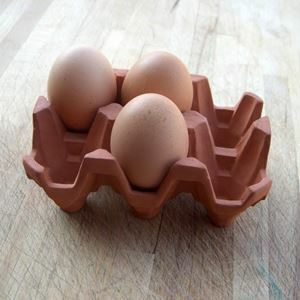 Size: 19cm (L) x 14cm (W).